Since you're here, why not learn a thing or two? 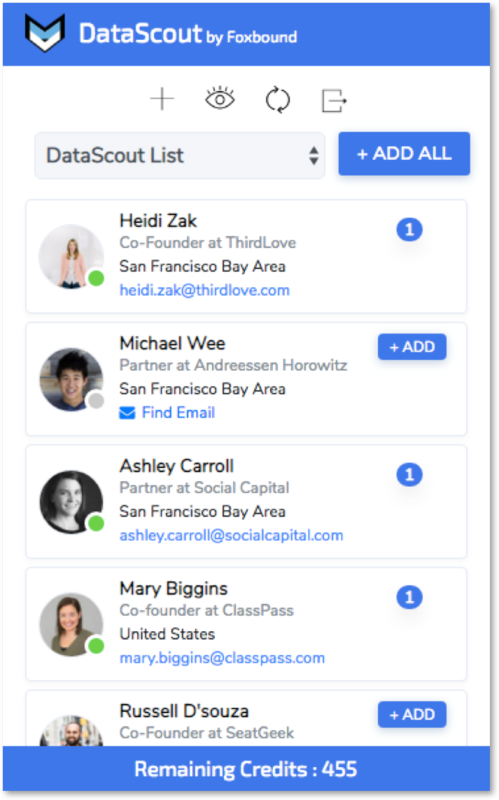 Accelerate research and list-building with DataDen, a repository containing over 60 million verified contacts, and over 11.7 billion associated data points. Use powerful search filters to locate key prospects which can be easily uploaded to CRM & Pursuit. DataDen is always growing so be sure to check back for more leads every day! 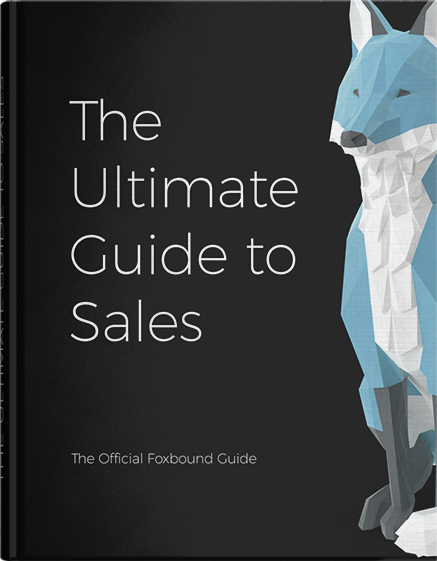 Quickly create and store segmented, high-quality lists of contacts using the FoxBound's lead-capture tool, DataScout. We take the pain out of prospecting so you can spend more time starting quality conversations! 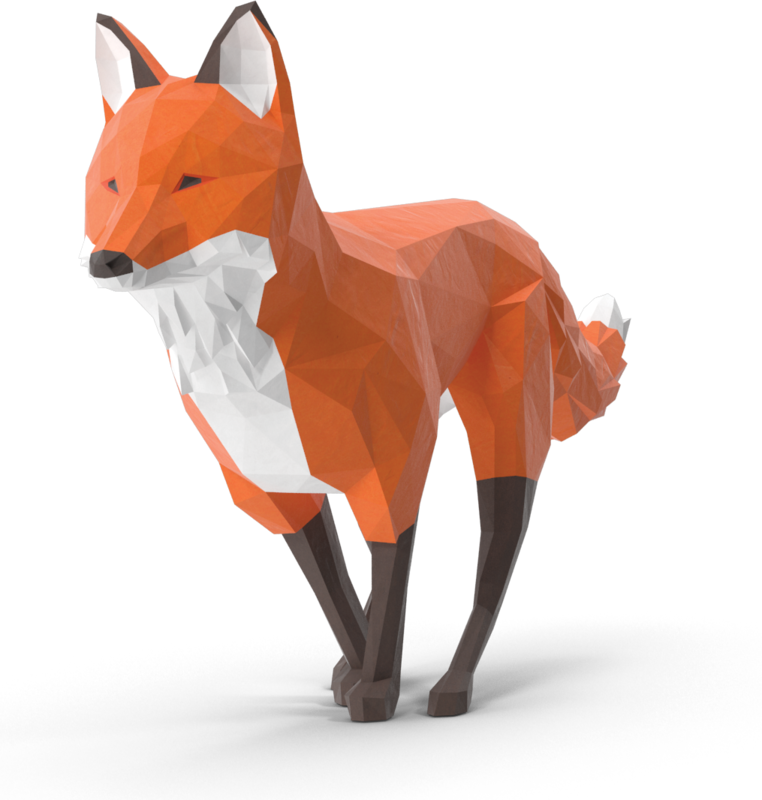 FoxBound's next-generation sales engagement solution, designed for agility and power. Picking up where legacy providers leave off, Pursuit allows reps to efficiently research, personalize, and connect with prospects without the hassle of inefficient, manual workflows. At the foundation of every successful sales strategy is effective tooling, process, and fundamentals. Give our playbook a download and gain the knowledge & skills needed to operationalize your go-to-market blueprint. From segmentation and templates to time management and messaging, you're bound to learn something new! 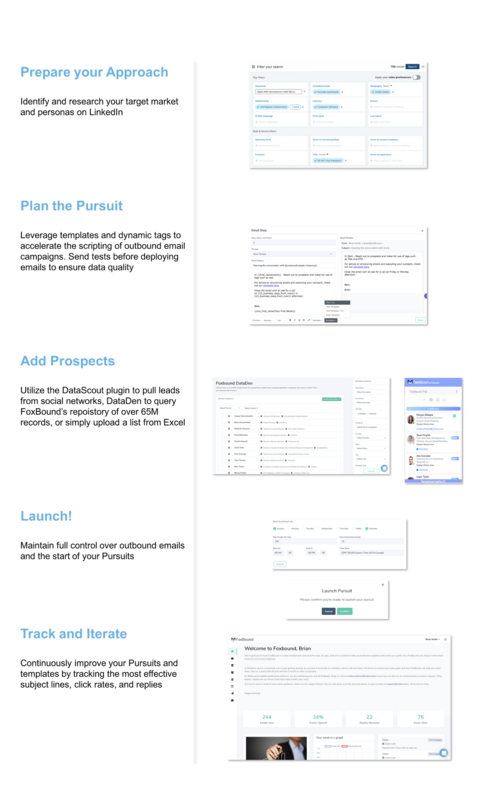 With our end-to-end presales stack, we give you everything you need to 10x your productivity and fill your pipeline with qualified opportunities. It's time to stop wasting energy with clunky workflows and stale data and time to start smashing your quota. Oh, and best of all? You're not alone! Give our trial a signup and we'll make sure you're bound for success in your new sales stack. Ready? Up & to the right!